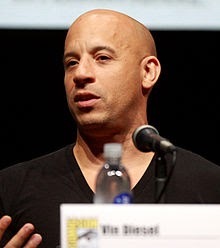 Vektanova - FACT: Vin Diesel is an anagram of "I END LIVES"
Celebrity Facts Entertainment Facts Facts The Circle FACT: Vin Diesel is an anagram of "I END LIVES"
FACT: Vin Diesel is an anagram of "I END LIVES"
Vin Diesel is an American actor. He began his career in 1990 in movie called "Awakenings", but he became more known and popular from a film called "Saving Private Ryan" as Private Adrian Caparzo, together with Tom Hanks who is the main character of the film. He later became one of the main characters in "The Fast and the Furious", starring as Dominic Toretto. His born name actually was Mark Sinclair Vincent. He ever worked as a nightclub bouncer where he got the name Vin Diesel from his friends. "Vin" means Vincent his first name, and "Diesel" means he never gets tired like a machine. Title : FACT: Vin Diesel is an anagram of "I END LIVES"
No response yet to "FACT: Vin Diesel is an anagram of "I END LIVES""